Gina Haspel, the current acting director of the CIA, was confirmed by the Senate on Thursday to be the agency's first female director, despite opposition from the majority of Democrats. Haspel was confirmed in the face of most Democratic Senators and many critics taking issue with her involvement in the agency's "enhanced interrogation" program in the aftermath of the 9/11 terrorist attacks. Administration officials had even claimed the nominee offered to withdraw her nomination earlier this month amid concerns the confirmation process would damage the reputation of the men and women in the agency. The 33-year CIA veteran, however, was ultimately successful in garnering enough votes for confirmation after a handful of Democrats announced their support, according to the Washington Post. Lawmakers approved Haspel’s nomination 54 to 45, with six Democrats voting yes and two Republicans voting no, after the agency launched an unprecedented public relations campaign to bolster Haspel’s chances. She appears to have been helped by some last-minute arm-twisting by former CIA directors John Brennan and Leon Panetta, who contacted at least five of the six Democrats who voted to endorse her bid to join President Trump’s Cabinet, according to people with knowledge of the interactions. 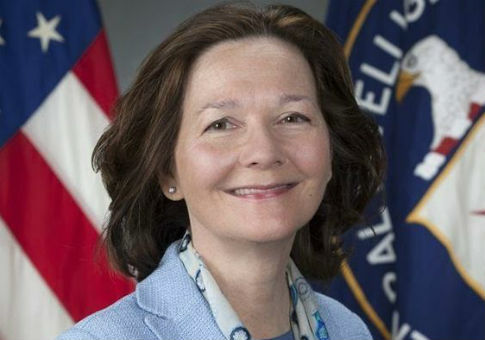 "It is not my way to trumpet the fact that I am a woman up for the top job, but I would be remiss in not remarking on it — not least because of the outpouring of support from young women at CIA who consider it a good sign for their own prospects," Haspel told senators at her confirmation hearing last week. After Thursday’s vote, Director of National Intelligence Daniel R. Coats called Haspel a "trailblazer," praising the mix of "frontline and executive experience" she has accumulated over a long career at the agency. "Her confirmation represents the best we have to offer as a country," he said. In addition to Brennon, Panetta, and the current DNI, Haspel had the support of several intelligence officials from the Obama administration, including CIA deputy director Mike Morrel, National Clandestine Service Director John Bennett, CIA Director Michael Hayden, and Director of National Intelligence James Clapper. Haspel, who has worked for the CIA since 1985, received support from Democratic Sens. Joe Donnelly (Ind. ), Heidi Heitkamp (W.Va.), Joe Manchin (W.Va.), Bill Nelson (Fla.), Jeanine Shaheen (N.H.), and Mark Warner (Va.). Trump tweeted his congratulations in response to the vote. This entry was posted in National Security and tagged Bill Nelson, CIA, Donald Trump, Gina Haspel, Heidi Heitkamp, Joe Donnelly, Joe Manchin, John Brennan, Mark Warner, Senate Democrats. Bookmark the permalink.